It's only 12:30 pm and it's been a great day, I'm not going to lie. I'm still riding a runner's and a bruncher's high, so you'll have to forgive my flowery excitement! We've had a whirlwind weekend, which I will probably get into more detail about tomorrow, and I was disappointed in myself because I didn't get my 4th run in last week. (FYI I am counting Sundays to Saturdays as a week from a training standpoint) I felt excruciatingly guilty about it all day yesterday, so I vowed that no matter what, I was getting up today and doing either my long run, or my second longest run on the schedule. Somehow I did manage to drag myself out of bed and get out of the door by 6:45 am and get to my usual spot at about 7. Along the way I decided that I wanted to shoot for doing the 6 mile long run that was on the schedule, simply because I wanted it out of the way. That way, all I would have to worry about for the rest of the week were two 3 mile runs and a 4 miler. We're having another busy week, so anything I could do to leave myself with shorter runs was going to set me up for better success. 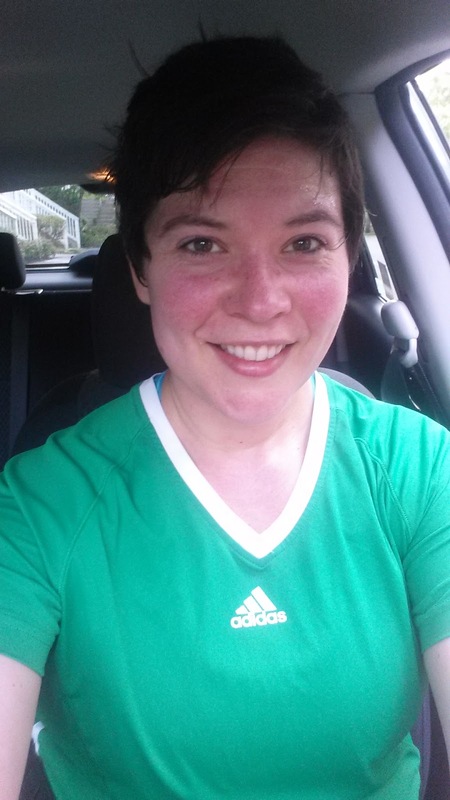 And firstly, thanks so my to my reader Christina for pointing out that switching to shorter intervals was going to be helpful during this humidity. You would think that as a college graduate and sometimes intelligent person that I could have worked that out sooner, but you know me. Anyway, this new 0.40/0.10 ratio has worked out so much better for me, and though there were definitely a few difficult moments during the run today, overall it was really solid. It was humid as hell again today, but I've just decided to get over it and move on, but I was dripping in sweat the entire time! I thought that was going to drag me down a little bit, but my legs definitely felt fresh and I could tell that I was faster than I have been the last 2 runs. I was thrilled to plug in my Garmin and see that this run was night and day from my nauseating 5 miler last week! I did my 5 miler in 1 hour and 11 minutes, but my did my 6 miler today in 1 hour and 15 minutes! Talk about an improvement! I was so happy when I was done, although sweaty and in desperate need of a shower and some cold water. After I got home I showered and we went out for brunch at one of our favorite local little bistro places. Since I'd only had a Stinger waffle and some Gatorade all day, I was starving! And you guys know that I'm all about proper nutrition when running, so in the spirit of ending a run with a high protein meal and potassium, I got a "Breakfast Mary". Yes, that is a hard boiled egg wrapped in a piece of bacon. Yes, it was good. No, I'm not sorry. Great job with the run! That is a tremendous improvement from last weeks for sure! 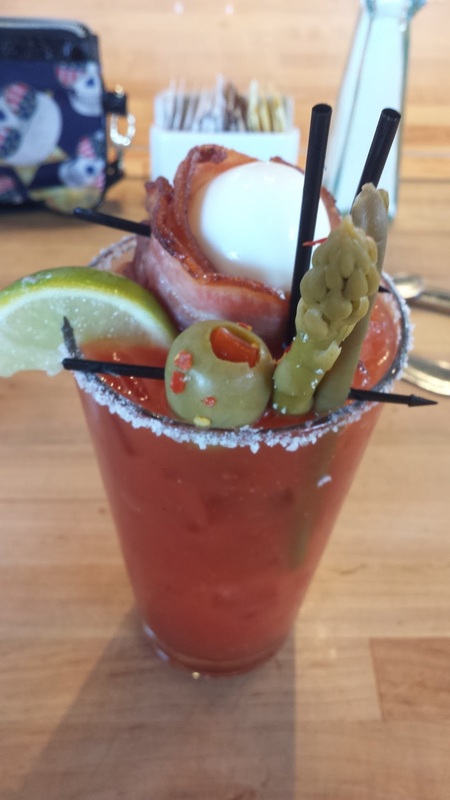 That "breakfast mary" looks interesting. Awesome run! I'm a sucker for a good Bloody Mary--I need one with a bacon-wrapped egg!